I love handmade gifts and supporting small businesses. They may end up costing more than what you’re used to buying, but brick and mortar stores mass produce, so the cost is always going to be lower. 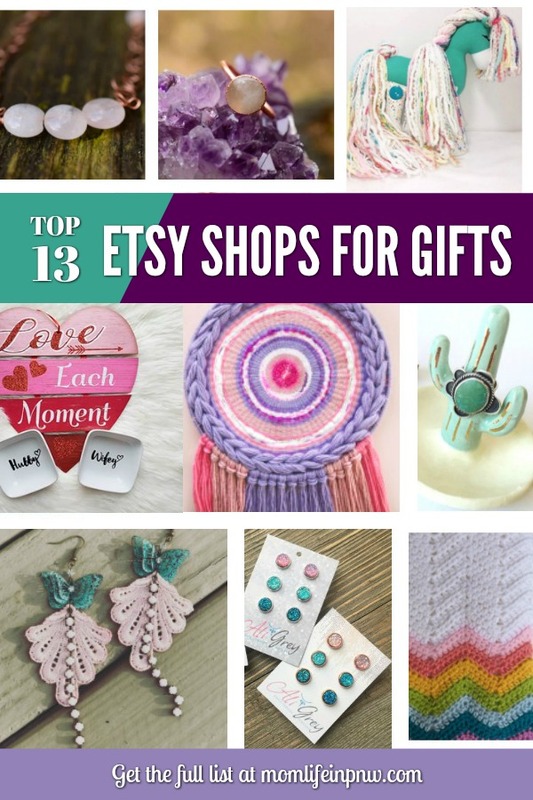 These are one woman Etsy shops where everything is made with skill and love. 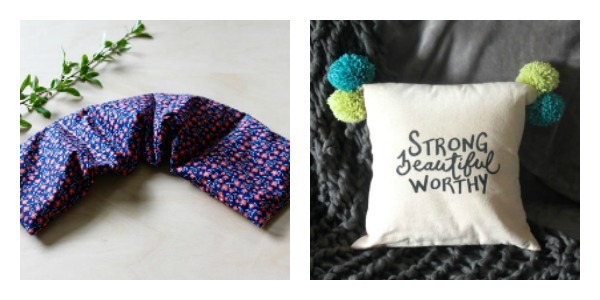 There are so many great Etsy shops to be found on Etsy, but I just adore these ones. 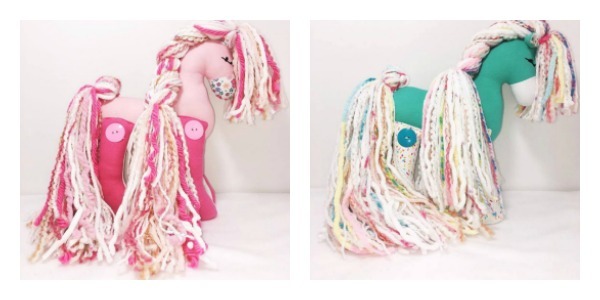 Makes quality handmade stuffed animals & heirlooms. I absolutely love all of her stuffed animals but especially these mini ponies that are 7″ tall. I mean, how cute are these? I have to get my daughter one when she’s a little bit older because right now, she just wants to chew and eat stuffed toys. LOL I think I may have a puppy instead of a 2-year-old. Laura does handmade Southwestern-inspired ceramics that are all created by hand in her Southern Arizona studio. She seriously has talent and I wish I could afford to buy all of her things! I think I am going to have to get my mom one of her turquoise pieces since my mom is obsessed. 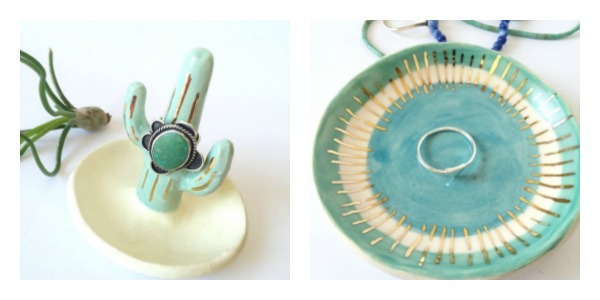 I really like her turquoise cactus ring plate and trinket dish and think it would pair well with all of her jewelry! Creates classic and cool jewelry in delicate styles. I actually have one of her macrame bracelets and love it! It’s made out of hemp cord and Greek ceramic beads. Now I need to get her pink macrame bracelet that’s featured in the photo! My grandma’s birthday is tomorrow and I wish I would have browsed a little more because that yellow memory wire wrap bracelet would have been perfect for her. She loves the color yellow. Creates handmade products for the mind, body, and home. I have one of her aromatherapy pillows that I bought when I found out I was pregnant since I knew with my first that I would be experiencing some pains and wanted a heat/cold pack for those future occurrences. They can be frozen or heated up in the microwave so that’s awesome! She also makes great throw pillows which she donates a 10% of the proceeds to the National Eating Disorder Association in honor of her sister recovering from anorexia. Creates beautiful knit pieces for any time of the year! This lady is a boss. She finishes blankets like she’s a machine, but she does it all by hand with her knitting needles. I love her new rainbow blanket she just finished, and the mommy and me hats are simply adorable! 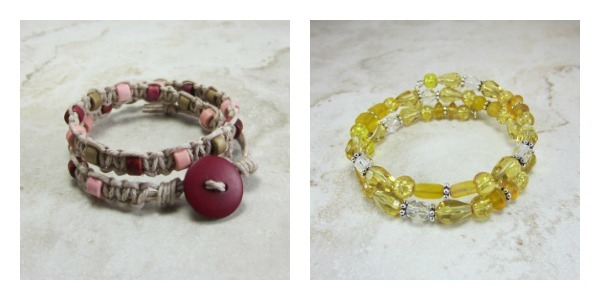 Makes hand woven bracelets and druzy earrings. 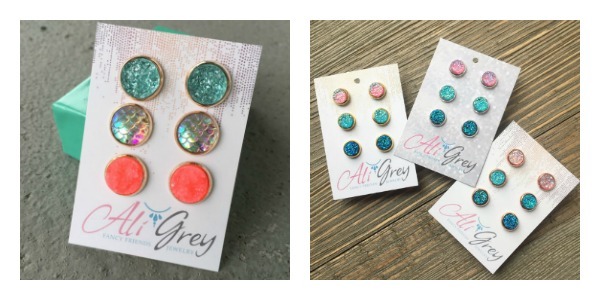 I didn’t even know what druzy earrings were until I checked out her shop from Instagram. Shows how much I am into jewelry. I do love her druzy earrings though! I am just mad cause I can’t afford to buy every color. They’re all so beautiful! My favorites are her Mermaid Summer Druzy Set and the mini druzy set with pink, aqua and blue! Aren’t they perfect!?!? Makes handmade beanies and apparel for everday adventures! 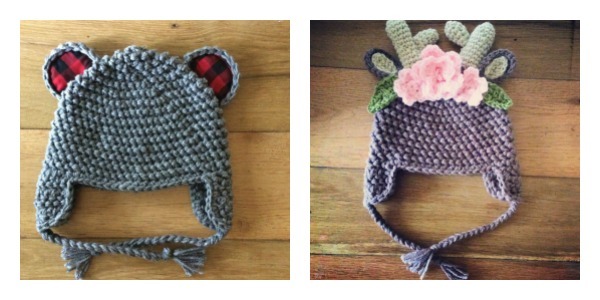 She literally makes the cutest beanie hats! I love the bear with the plaid ears and the deer with the floral piece in the middle. I may have to get that for my daughter for winter! Does a bunch of screen-printing of fun and cute clothing for just about everyone! 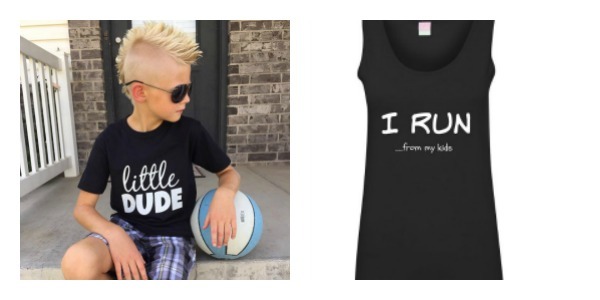 Their little dude shirt and I run… from my kid’s tank are my favorite of theirs. They also have a funny yet cute story about how they came up with their name. You should take a peek! 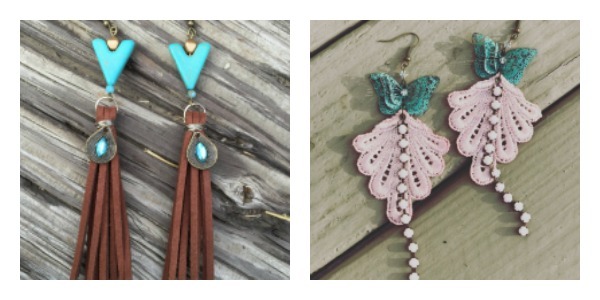 Creates Vintage Inspired Handmade Jewelry and Woven Wall Decor. Her pieces are truly unique and one of a kind. I don’t think I have seen anything like it before. Her woven dream catchers are my absolute favorite though! 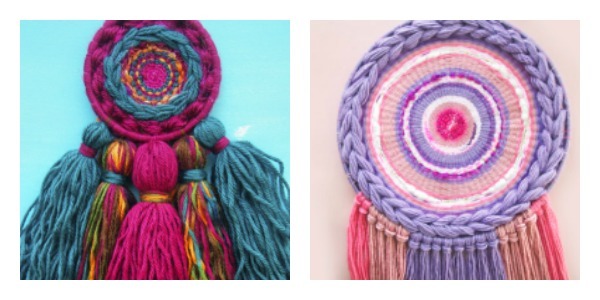 Especially this colorful 4″ woven dream catcher and her 12″ pastel colored dream catcher. Makes chokers, boho and lace jewelry. Her lace jewelry is so elegant and vintage! I love it all. I actually ordered one of her earring pieces for my mom for Mother’s Day because it was just her style (first picture). I also love her lace butterfly earrings. Creates handmade jewelry for bohemian and ethereal spirits. Her jewelry is truly unique and beautiful! 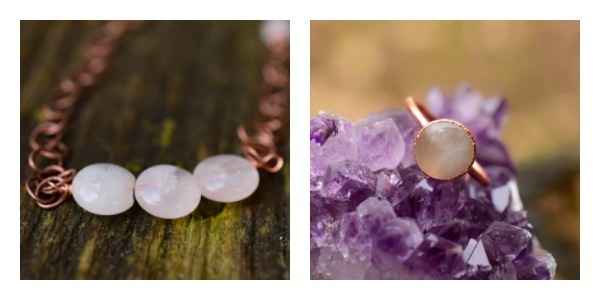 I love her rose quartz bar bracelet and the rustic rose quartz ring. They’re magnificent. Specializes in printables which are great as wall art, invitations, mugs, shirts, etc! 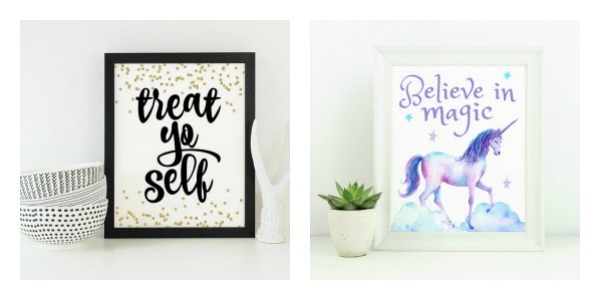 I dig her treat yo self-printable and her unicorn believe in magic printable. I mean, who doesn’t love unicorns and self-love? They are perfect!! Creates hand embroidered wall art, accessories & decor. 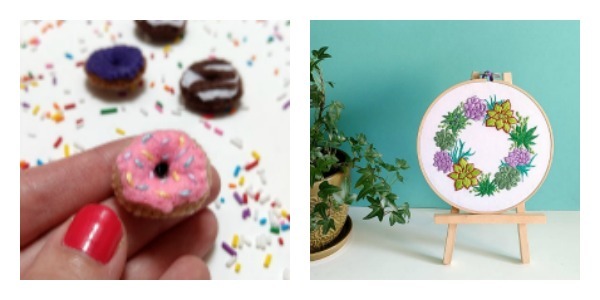 Her donut refrigerator magnets and her embroidered succulent wreath are 2 of my faves! I mean, how can you not like donuts and plants? Now that you’ve gotten to take a peek at what they “do”, head on over to ETSY to check out their shops. You just might find the perfect handmade gift for your loved ones. Next Post Shark Rocket With DuoClean Technology Review + DIY Natural Carpet Deodorizer! I love the beanies from Happy Creature. My daughter would love any of their hats. OMG, the ponies. THE PONIES! I must have more Bar H in my life! I love Etsy, there are so many different and whimsical shops there that you can find literally anything that your heart desires. Some of these shops I have heard of, but I can’t wait to check out the others! Those are fabulous Etsy shops! There are so many good ones on there but its hard to narrow them down! I love the Boss and Michaels! I want the I RUN…from my kids t-shirt! Oh I actually have some jewelry from Studio1227! Love them! You listed a few others I am going to check out as well. I feel it is important to support small business! I love to shop online and Etsy is my favorite places to look for unique gifts. 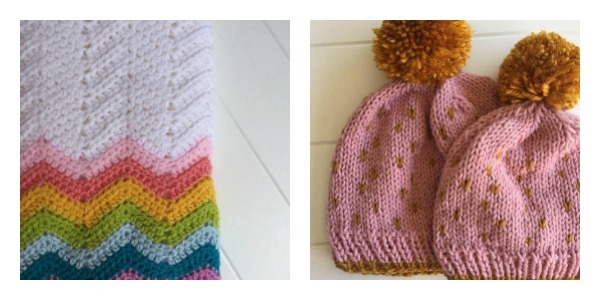 I am in love with that rainbow blanket from Flatlander Knits. That rainbow blanket is ah-mazing! These are cute shops. I love the ring plate and the trinket dish. The dish will make a perfect gift for my granddaughter. So glad I found this here. Wow! All of these are so great! Very creative, useful and colorful! It is so amazing products. It such a beautiful ideas. Lots of lovely gift ideas! Hope more people shop on Etsy this year and stay away from the crowded stores! I think etsy shops are awesome and they’re definitely the place to go if you want handmade accessories and more! These are all lovely items. 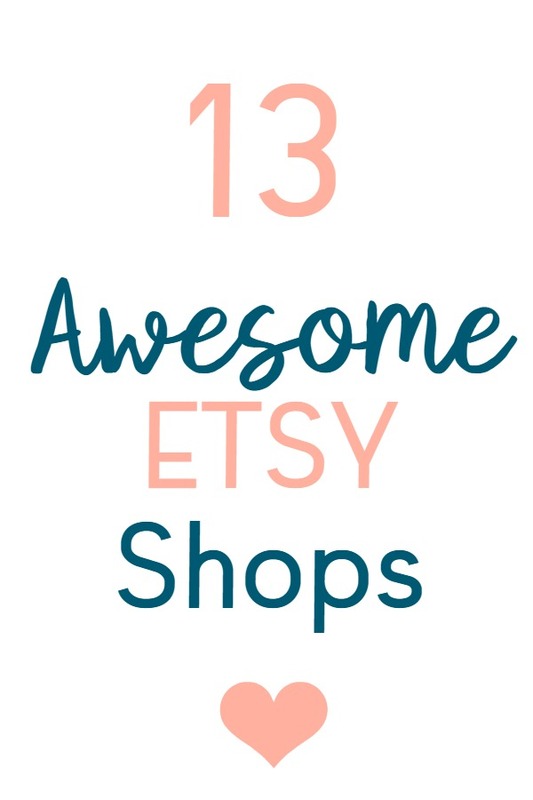 I have actually not checked out any of these Etsy shops!! I need to do so ASAP!! I just love everything from the gorgeous “Lime and Dot” Easy shop. Absolutely gorgeous! Great gift ideas for everyone, including myself! I love to shop on Etsy and check out all the cute handmade things and support small business owners. I am going to have to check some of these out. There are some amazingly gifted people to be found on Etsy. It’s a great platform to just browse and discover! I never bought from Etsy yet, now I feel like I am really missing out! They have such stunning shops, especially for the kids. I love handmade gifts and it’s always Etsy that I choose to shop whenever I’m looking for something. There’s a ton of creative and beautiful items there.